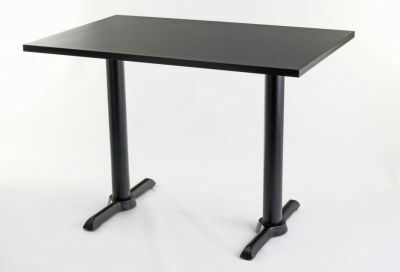 Rectangular cafe tables with a twin cast iron base and rectangular tops in a choice of four sizes and seven finishes. Tops are 25mm thick laminated MDF with ABS protected edging. 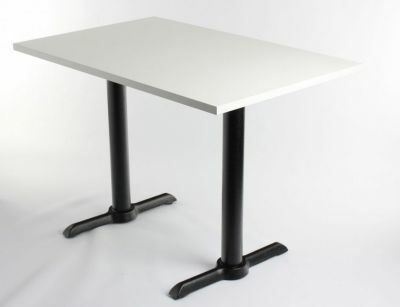 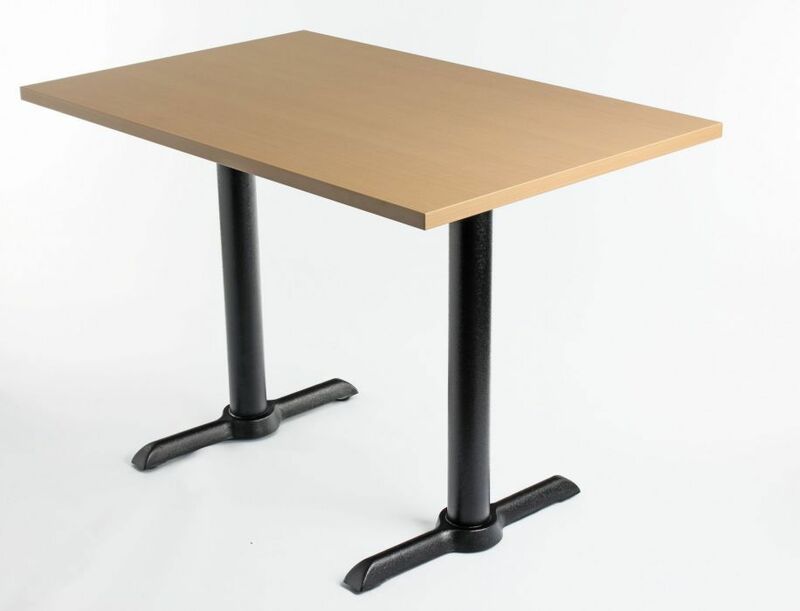 Value rectangular complete tables with a wide choice of standard finishes including matt black and beech. 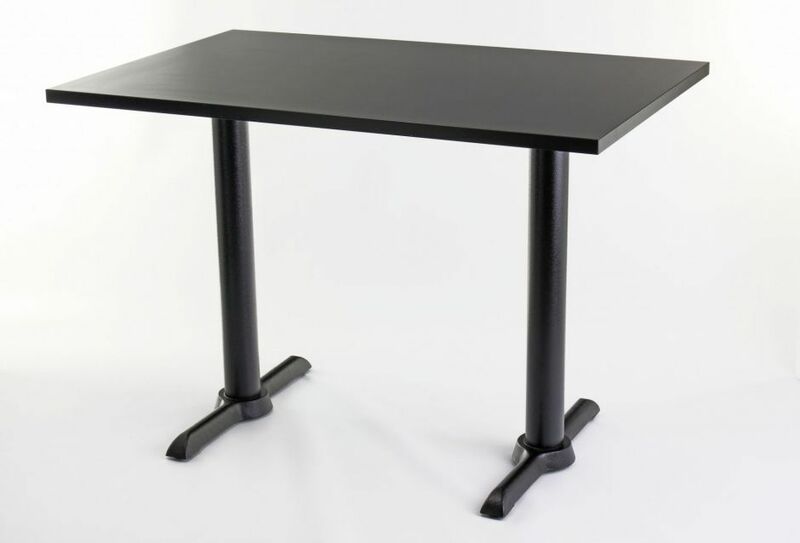 Complete with a sturdy twin black base in attractive contrasting black powder coat finish.